The Bahujan Samaj Party and the Samajwadi Party Monday announced they will fight the upcoming Lok Sabha elections together in Madhya Pradesh and Uttarakhand. The two parties are already alliance partners in Uttar Pradesh for the general elections. A statement signed jointly by Samajwadi Party president Akhilesh Yadav and BSP chief Mayawati here said, "Both have together decided to contest the 2019 Lok Sabha elections in alliance in Madhya Pradesh and Uttarakhand." Under this alliance, the Samajwadi Party will contest three seats in Madhya Pradesh -- Balaghat, Tikamgarh and Khajraho and one in Uttarakhand- Gadhwal (Pauri), while the BSP will contest on all the remaining seats, the statement released by the BSP said. While Madhya Pradesh sends 29 members to the Lok Sabha, Uttarakhand accounts for 5 seats in the Lower House of Parliament. 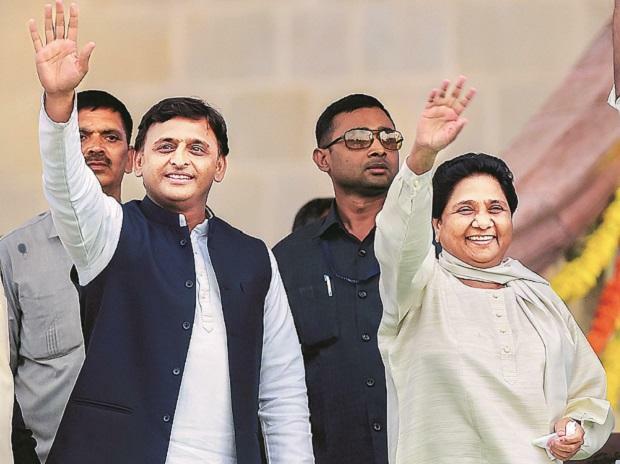 Both the parties have joined hands for the upcoming Lok Sabha elections in Uttar Pradesh where the BSP will contest 38 seats while the SP will be vying for 37 seats. Uttar Pradesh accounts for 80 Lok Sabha seats.